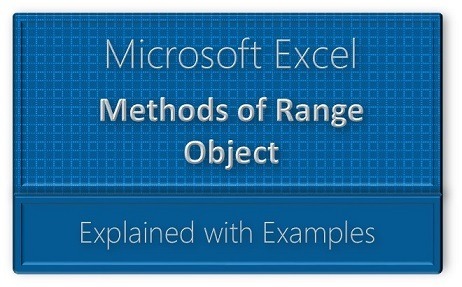 Range method helps us to perform different actions with Excel ranges. For example, we can copy a range and paste into different location. And we can insert or delete rows or columns. And we can also clear the ranges, format the ranges. Explore the various methods and examples on Excel VBA Range using side navigation. Below are the most frequently used Excel VBA Range methods.